Home Mobiles Surface Pro 5 and Surface Phone – What Is There To Know? Surface Pro 5 and Surface Phone – What Is There To Know? There are bad news ahead for Microsoft fans that are expecting new information about the company’s most recent efforts. To be more precise, these efforts are the latest Surface Pro 5 tablet and the still unannounced Surface Phone. There are bad news ahead for Microsoft fans that are expecting new information about the company’s most recent efforts. To be more precise, these efforts are the latest Surface Pro 5 tablet and the still unannounced Surface Phone. These devices will apparently not be making an appearance anytime soon, just like they didn’t appear on the 2nd of May when Microsoft is hosting their event. Even though there has been no official announcement of the Surface Phone, fans and consumers know that such a device is in the works. It would be Microsoft’s flagship model and the company hopes it will bring Microsoft back in the forefront when it comes to the smartphone market. The two major players in the smartphone OS business are making it extremely difficult for Microsoft and their Windows Phone OS get any customers. This is in part why the system itself has never actually done that great, and was never on par with Android phones or Apple’s iPhone. The Surface line of devices was presented by Microsoft in a time when the company really didn’t have something that fans could flock towards. 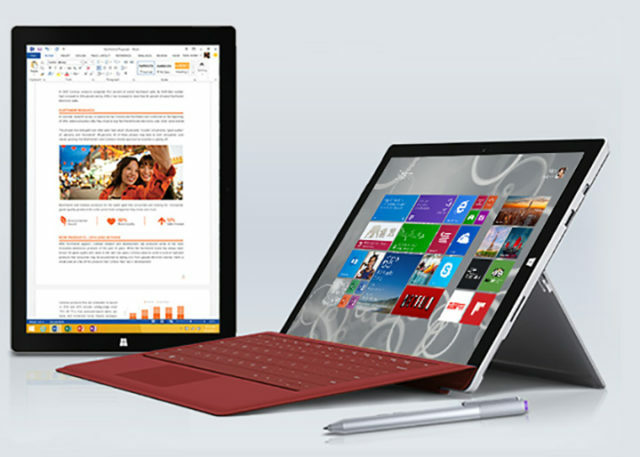 Microsoft introduced the hybrid device that fused a high end tablet and a compelling laptop in a single device, and thus the Surface line became immensely popular. Given Microsoft’s endless reboots and retries to no avail, it would be incredibly hard to get people to give them another shot with a brand new IP. Thus, they are banking on the success of the Surface series of the devices. By tying the new Phone to the Surface name, they are giving it a fighting chance. The only thing now is to make sure the phone is actually good and more than a product that mooches off of the Surface label. Laptops and tablets after them have brought mobility to computing in a major way. However, if the speculations are correct and Microsoft pulls off what many think the company is intending with the Surface Phone, people’s concept of mobile PC’s will change drastically. It would seem that aside from other high end, top quality flagship smartphone features, the Surface Phone will also be able of an amazing feat: you will be able to plug in peripherals to it and use it like a computer.